September 8th in Wordpress Plugins by Wordpress Jedi . 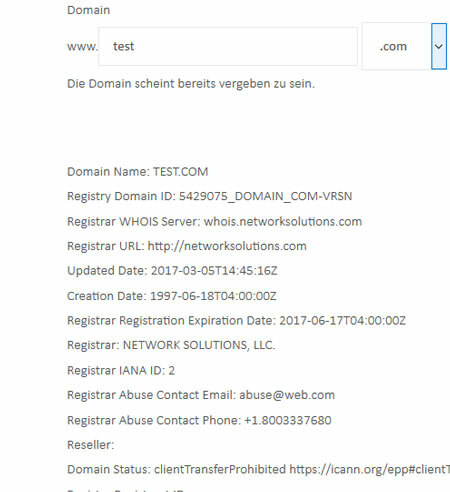 WP Domain Checker: allows you to check domain availability on your site. Generic and country-code top-level domains are supported. It comes with WooCommerce and WHMCS integration. Ajax Domain Checker: allows you to check domain name availability on your site. It supports gTLDs and ccTLDs. The pro version offers integration with WHMCS. Instant Domain Checker: a responsive, mobile ready domain checker for WordPress. Has WooCommerce and WHMCS integration. Has a shortcode for Visual Composer. Powies WHOIS: adds domain WHOIS lookup functionality to your website. Simply insert its shortcode to get started. 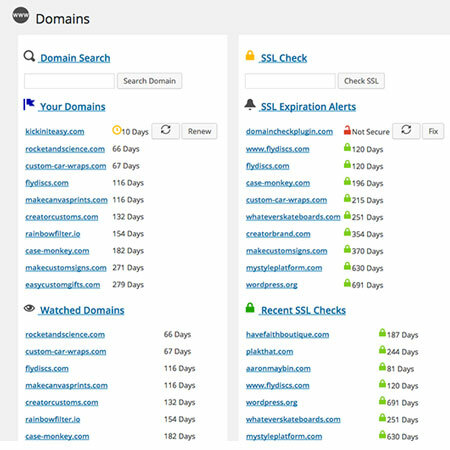 Domain Check: lets you search domain names and set up alerts for domain and SSL expiration. Export/import functionality is available. Have you found better domain checkers for WP? Please share them here.